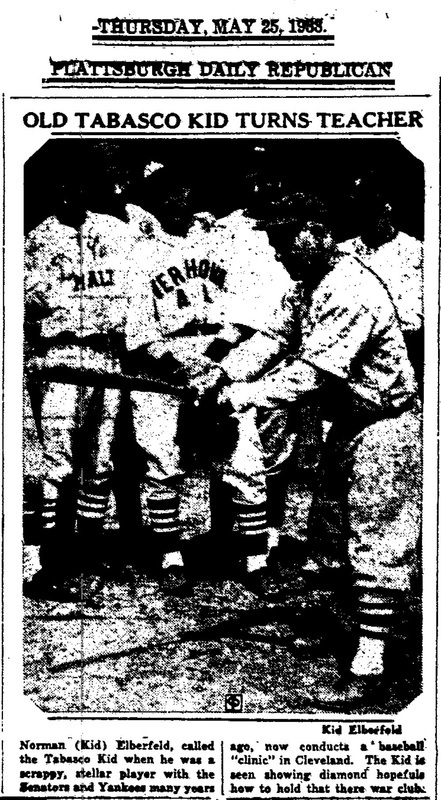 Norman (Kid) Elberfeld, called the Tabasco Kid when he was a scrappy players with Senators and Yankees many years ago, now conducts a baseball "clinic" in Cleveland. 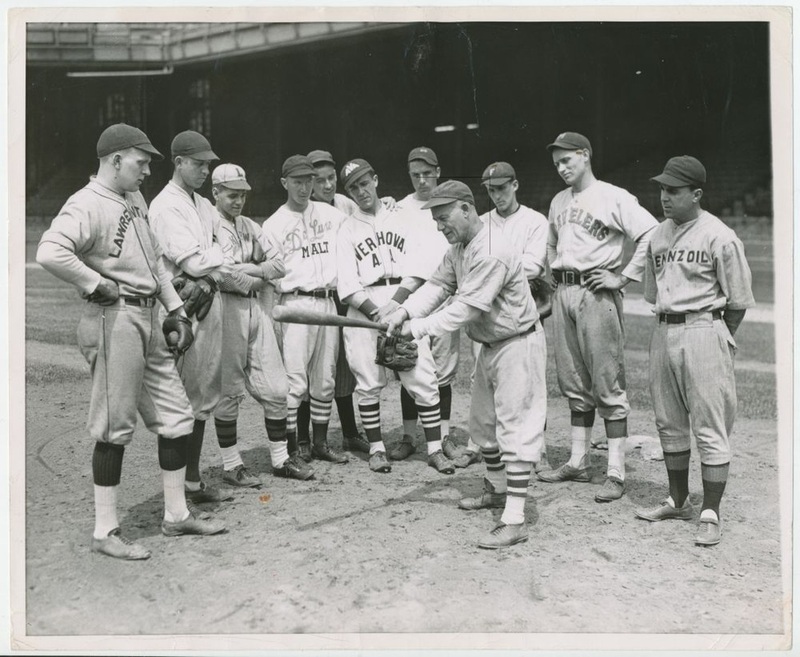 The Kid is showing diamond hopefuls how to hold that there war club. This is the original press photo that was used with the above story.